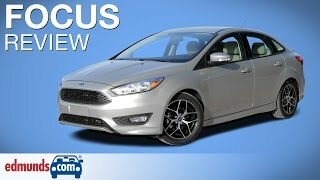 Ford has given an all new refreshing look to its Ford Focus 2015 and with these looks it offers its award winning 1.0 Liter EcoBoost engine. We all know buyers nowadays are very much concentrated upon looks of their car but with that another thing which matters for them is an efficient engine. For once a buyer will compromise with the power output but fuel efficiency really matters. 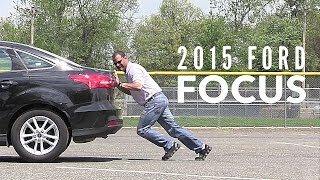 May be this is what Ford had in mind while designing this new release and if you agree to this, Ford Focus 2015 is something you wont like to miss. Keep scrolling to know this efficient new release in detail. Ford has given some meaningful changes to the interior of Ford Focus 2015. Our list begins with the clean looking center console. By saying clean we mean well-arranged, as we didn’t find any compromise with the controls mounted this year and that on last year’s sedan. Moving ahead comes with more comfort offered to customer, likewise providing both driver and passenger ease over long rides. Center Stack gets a little extra space to hold some cups while Sync voice command system is connected to applications, making your operating experience better. As standard for the first time model brings with it a rearview camera, which will appear on either a 4.2 inch or 8 inch screen. Joining in interior are driver assist technologies, lane-keeping system and blind spot information system. 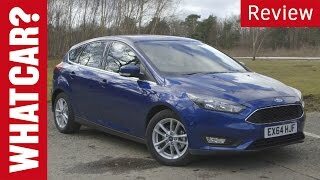 In all we found enough space inside Ford Focus 2015, which this time gets complimented with some extra features and comfort. 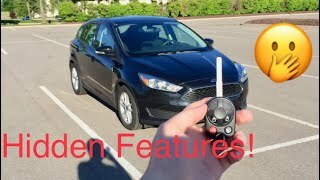 Exterior of Ford Focus 2015 receives a whole lot of revision giving the model some lean towards the middle-class segments looking to go for a car. We don’t mean Ford compromised with anything but for this time they have made changes to attract some simple customers who look for a clean sedan with no sporty touch. 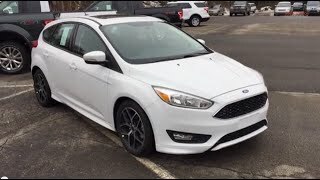 Starting with the front fascia of Ford Focus 2015 we noticed an all new hood holding redesigned grille above the revised lower fascia, changes over face of Ford Focus 2015 now makes it look somewhere like its sibling Fiesta. Marching towards the rear fascia of Ford Focus 2015, we noticed new taillamps and trunk lid featured in two-pieces marking changes for this year’s sedan. As an standard integration beneath hood of Ford Focus 2015 customers will get, Ford’s award winning 1.0 liter EcoBoost engine that delivers 100 hp of total output and will come paired to a Six-Speed Transmission. Through this engine Ford showcased its intentions to offer its buyers best-in-class fuel efficiency. However as an option, those willing to have little speed can go for 2.0 Liter Four-Cylinder engine that delivers total output of 160 hp and 198 nm of peak torque, paired to five speed manual transmission.